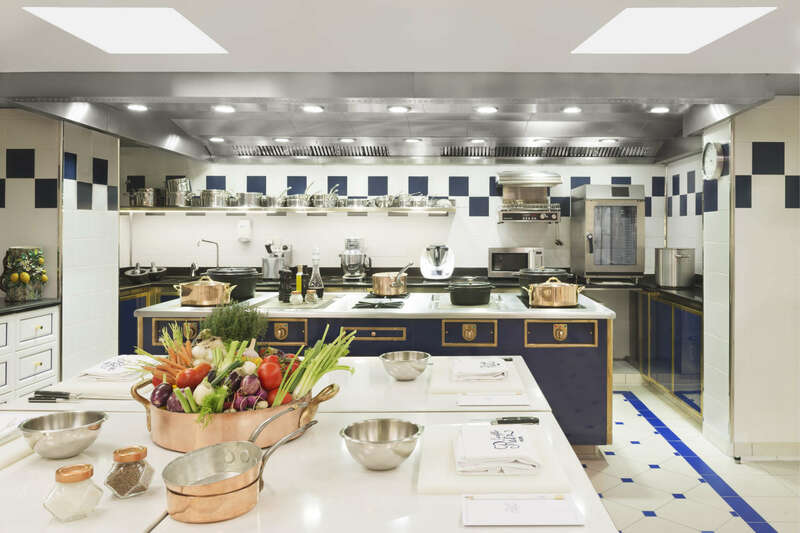 Explore a gourmet market and cook and taste the best local ingredients on a cooking class at the Hôtel Ritz Paris. 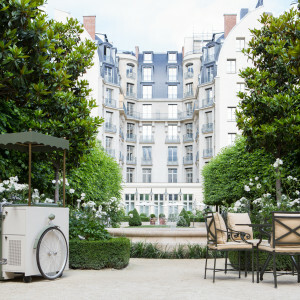 There is no better way to understand French haute cuisine than through a full gourmet experience—from selecting top-quality produce and meeting the local vendors in a Parisian market to creating and cooking a traditional French menu with a chef in one of the most beautiful kitchens in Paris at the Hôtel Ritz Paris. 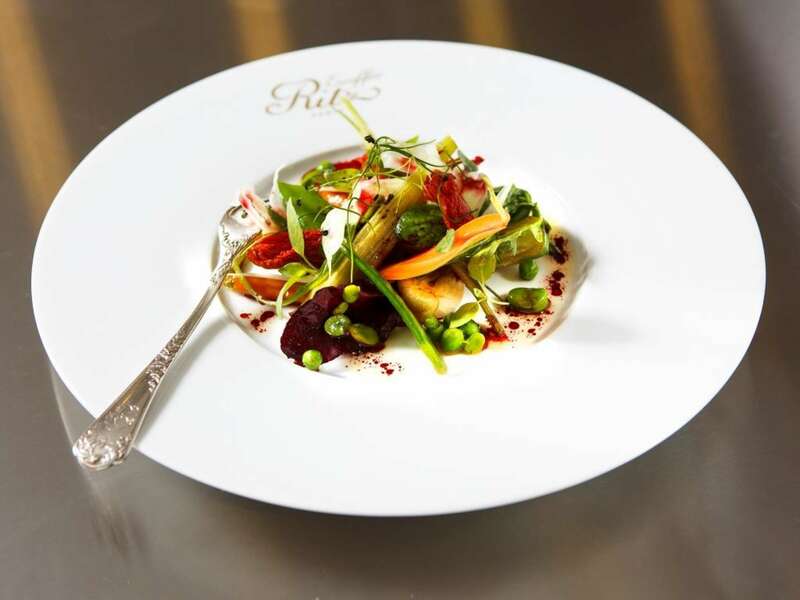 Our luxury food tour has been designed in collaboration with one of the most iconic hotels in the world—Hôtel Ritz Paris—and its famed cooking school—École Ritz Escoffier—and aims to provide visitors with an exclusive and in-depth culinary experience. 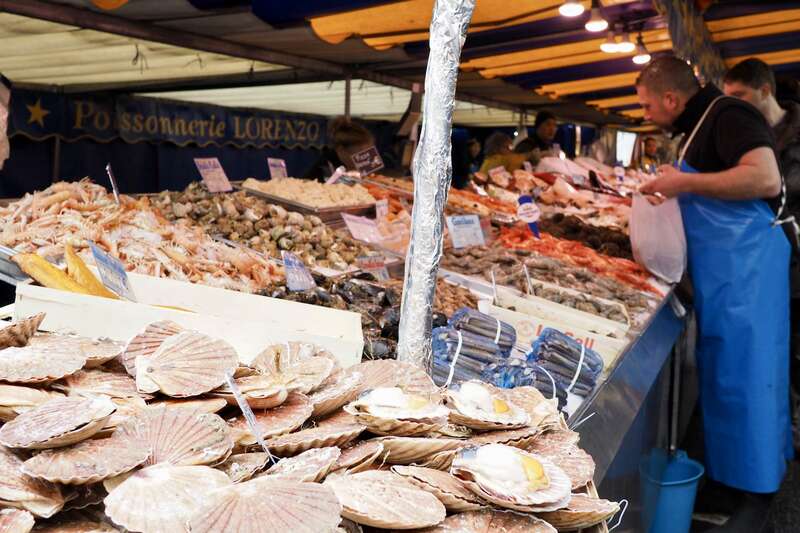 Exploring the high-quality grocery stalls at the most gourmet food markets in Paris—Marché Président-Wilson— we’ll experience l’art de vivre à la Française (the French art of living) and do a deep dive into the history of food culture in France. 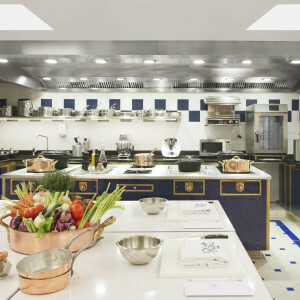 We will then proceed with a cooking class in the kitchen where Auguste Escoffier, the father of modern cuisine, created hundreds of dishes and codified haute cuisine. 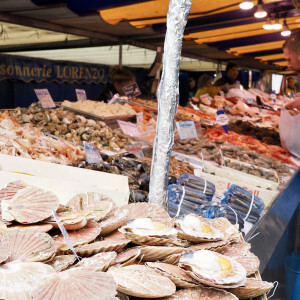 Private Paris food tour led by a local chef, food writer, or food expert. 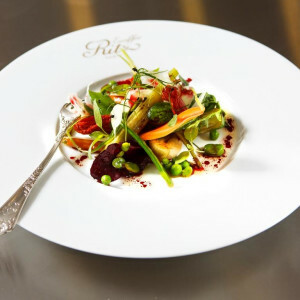 Includes a cooking class at the Hôtel Ritz Paris with one of the chefs of the École Ritz Escoffier. For the French, great cooking is about being inspired by the simple things—fresh vegetables, assorted spices and local products. By following Escoffier's maxim, faites simple (don't complicate things), your expert guide will help you select the best produce at the market while the chef of the École Ritz Escoffier will teach you how to cook and design a traditional French menu in an effortlessly elegant manner. We will start our tour at the market where we’ll learn how to choose the finest seasonal produce from local producers and jot down ingredients that interest us. We'll discuss French gastronomy, and we’ll see how chefs shop and select ingredients with care and interact with the vendors. 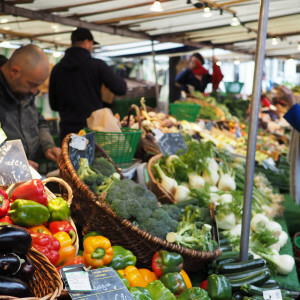 We’ll not only see beautiful produce, but also admire the locals' savoir faire. We'll see market gardeners who come in from just outside Paris and artisan bread bakers and cheese makers—like those we meet on our Paris Food Tour. We'll embark on a scenic drive towards the Arc de Triomphe and the Champs Elysées before reaching our destination in the historic center of Paris—Place Vendôme. Prior to diving into our cooking class, we’ll be able to take a sneak peek in the main kitchen where the Ritz brigade, clad in dazzling whites, work in serenity to create a perfect menu. Taking inspiration from them, we will put on our white aprons and start working on our Menu du Jour. The chef will explain everything from preparation through plating. We'll learn about raw ingredients and a chef's approach to the product, discuss the fundamental French cooking techniques, and learn how to re-create a recipe and present a traditional French menu. We’ll end our culinary experience with the tasting of our cooked dishes and a glass of Ritz Champagne, while chatting about Escoffier's brigade system and some of the hotel’s prestigious regular customers, from kings and heads of state to contemporary fashion icons. 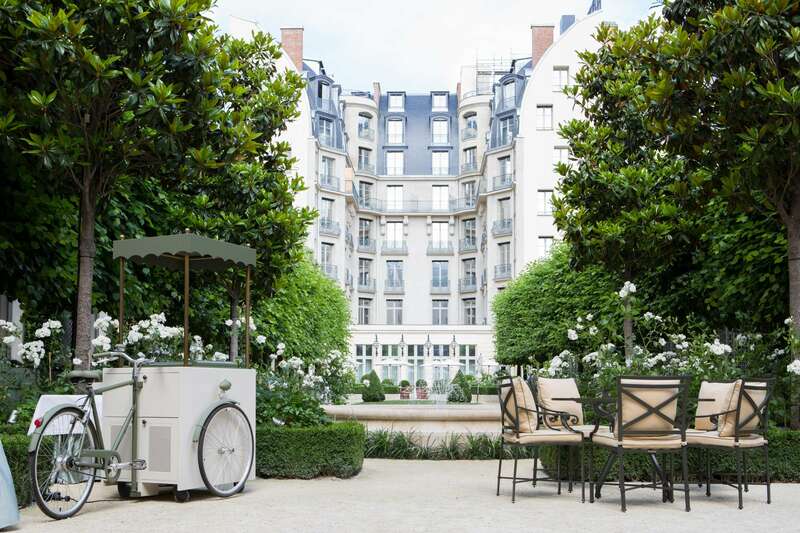 At the end of the tour, you can explore the hotel's beautiful garden, bars, and restaurants. (For further sipping, see our Paris Wine Tour and Tasting) . We'll leave our experience with mind and body greatly enriched by French cuisine. You will receive a booklet with the printed recipes, an apron and a certificate of participation from the École Ritz Escoffier. 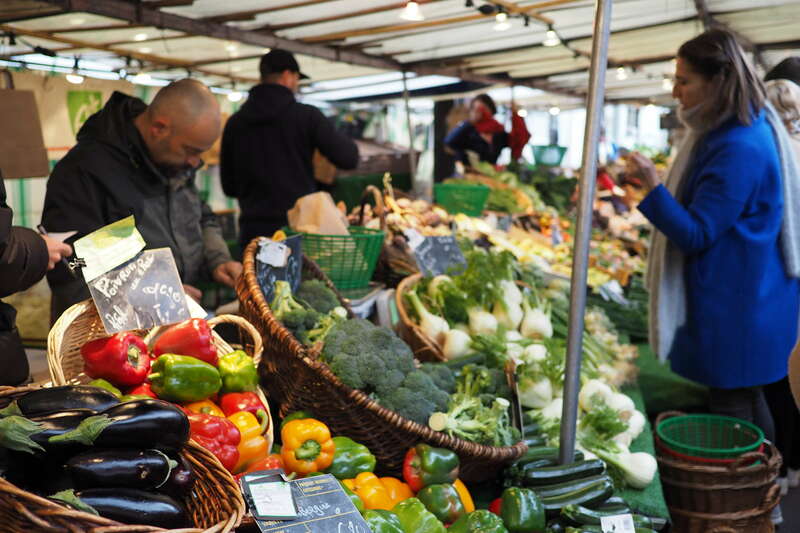 We will provide you with a list of the best markets and restaurants in Paris. We'll need your accommodation details to confirm the car service. Please provide us with all the necessary information when booking. 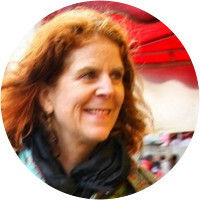 Susan is internationally known as one of the greatest authorities on French cuisine. 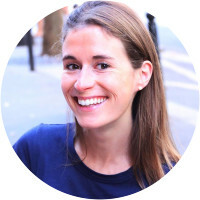 A trained journalist, she first came to France to apprentice at the renowned cooking school, La Varenne Ecole de Cuisine. With a Grand Diploma in hand, she opened a small café in Paris and later embarked on a successful writing career. 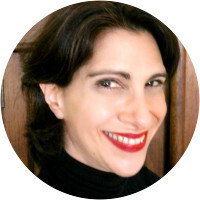 She is the proprietor of a small, exclusive cooking school in her home outside Paris, in Normandy, author of nine books about food, and a contributor to the New York Times, Cooking Light, and other food and travel magazines.